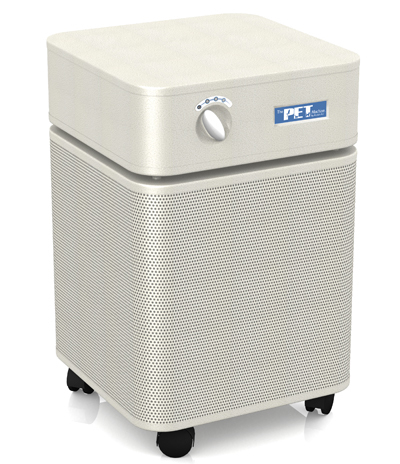 Designed specifically for pet owners, the Austin Air B410 Pet Machine purifier traps all allergens produced by pets and pet dander while adsorbing odors. Pets, however, pose another problem: they bring into the home many other allergens like dust, dirt, pollen, and mold spores. Thankfully, the Pet Machine is able to handle all these potential issues with ease. 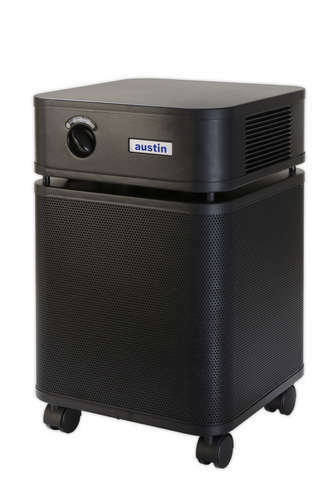 The Austin Air pet machine has a filter that is uniquely designed to reduce the unpleasant odors from litter boxes, pet bedding, and even the pets themselves. With 4 stage filtration, 5 color options, and an effective coverage area of 750 sq. ft., the Pet Machine fits well into nearly any size of room. - 60 square feet of Medical-grade True HEPA Filter Medium for removal of 99.97% of particulate 0.3 microns or larger and 99.5% efficiency with particles 0.1 microns and larger. - 15 pounds of a Carbon Blend that's specifically designed to eliminate pet odors. 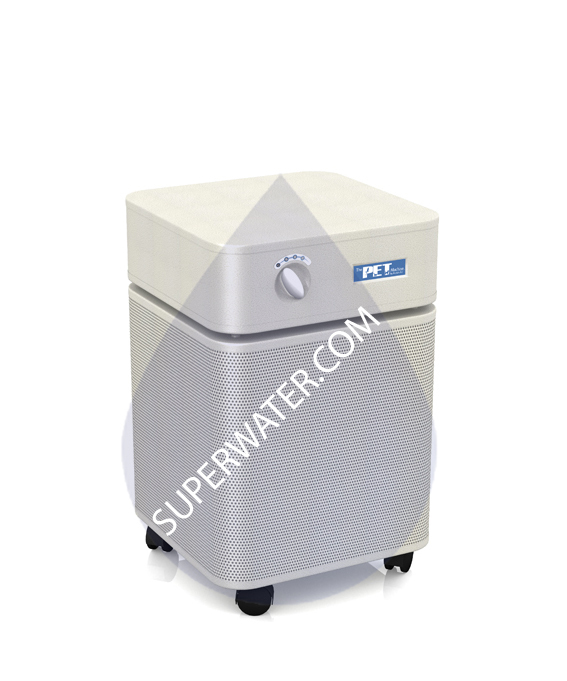 - Additional pre-filters get rid of large particles and significantly extend the life of the HEPA filter. 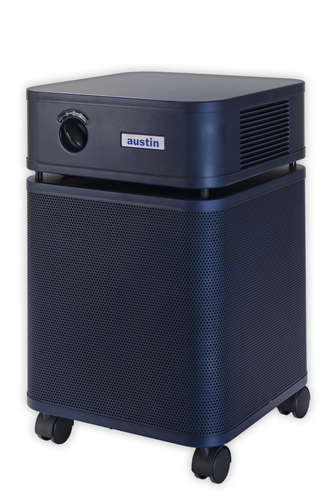 - Specially engineered 360� Air Intake for maximum air flow and better circulation throughout the room. - Control switch with three speeds. 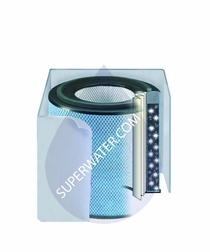 - Three to five year filter life means low filter replacement costs. 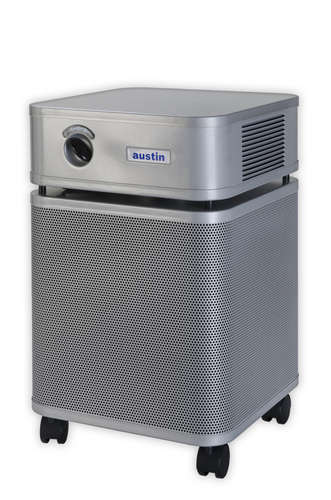 - Easy to clean and maintain, simply vacuum exterior and replace large particle prefilter yearly. - Long-lasting, energy efficient PSC motor. - Casters for easy moving. - Five-year pro-rated filter guarantee.